How do you classify nontraditional workers in your clinic? The spring and summer months seem to revive the eternal questions about classifying certain nontraditional, contingent workers. Employers seek to provide learning opportunities for students in their home communities. Some do so with the hope that the student might return to seek regular employment postgraduation. Others do so simply based on their belief in corporate citizenship as a way to pay it back and forward to the local communities that support them. But take care. The best of intentions can go awry. This year is no exception. On April 20, 2015, the U.S. General Accounting Office (GAO) sent to the U.S. Senate Health, Education, Labor and Pension (HELP) Committee a “Contingent Workforce” report.1 That report has also been shared with the Secretary of the Department of Commerce, the Secretary of the Department of Labor, and other “appropriate” Congressional committees. The GAO reports with a +/-1.7 percent confidence rating that the core group of contingent workers, such as agency temps and on-call workers, comprised about 7.9 percent of the employed labor force in 2010. They found that compared to standard full-time workers, core contingent workers are more likely to be younger, Hispanic, have no high school degree, and have low family income. These contingent workers are also more likely than standard workers to experience job instability, and to be less satisfied with their benefits and employment arrangements than standard full-time workers. Because contingent work can be unstable, or may afford fewer worker protections depending on a worker’s particular employment arrangement, it tends to lead to lower earnings, fewer benefits, and a greater reliance on public assistance than standard work. Knowing that myriad entities within the executive and legislative branches of our federal government are giving these relationships due consideration, employers need to be savvy when classifying workers whom they do not intend to be employees. These may include: temporary workers, direct hire, hire from an agency, independent contractors, volunteers, and unpaid interns. So, let’s take a quick look at some of the more common nontraditional worker relationships. Today at least 22 states have signed a Memorandum of Understanding (MOU) with the United States (U.S.) Department of Labor (DOL) and Internal Revenue Service (IRS) agreeing to share payroll, tax, and other records for the purpose of identifying employers who have misclassified workers as independent contractors instead of employees.2 Modified from the former 20-factor test, today the IRS tends to use a three-factor test for assessing proper classification of a worker as an independent contractor. This is described in Publication 1779.3 The DOL uses a different test. It describes its factors in Fact Sheet 13.4 In 2007, I had the honor of testifying during a joint U.S. Congressional subcommittee on this very topic. In addition to the federal guidance, which varies as described above, many states have statutory definitions that may vary such as in the state’s unemployment insurance or workers’ compensation codes as well as in state administrative agencies, which use factors that are different from the IRS’s factors. With so many different rules, tests, and factors it can be extremely difficult for employers to get this right. Just because an employer partners with a local academic institution to find and use unpaid interns does not insulate the employer or guarantee that the use of such unpaid interns is legal or proper. The DOL applies a six-factor test that must be checked to properly classify an intern as unpaid.5 Unlike many multifactor tests this is an all-or-none assessment. If the employer cannot “pass” each factor of the test then the worker must be classified as an employee and paid. To date at least four states (Illinois, Maryland, New York, and Oregon) plus the District of Columbia and several local jurisdictions have enacted laws providing fair employment practice protections for unpaid interns, protecting them from unlawful harassment. In today’s labor market some employers seek to save costs by sharing workers. If you are sharing workers with another corporate entity, be cognizant of whether a joint-employment relationship might be created. There are advantages and disadvantages to this; be sure whatever you create is the relationship you want. Whether it is a temporary agency or some other entity who will be the employer of the worker will be in question. Ensure your contract addresses the intended relationship and any liability that might arise from that designation. 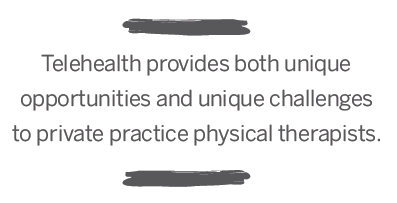 For example, imagine a physical therapist works as a full-time employee of a physical therapy clinic. She also works part-time with an agency that just happens to place the physical therapist in a temporary assignment at the same clinic, but at different facility or location. Who is the employer while the physical therapist is working at the clinic on the temporary assignment, the temp agency or the clinic? What difference does it make? Who is responsible for overtime pay when the physical therapist works 40 hours for the clinic and an additional 15 hours through the agency at the clinic in the same workweek? What about workplace accidents and Occupational Safety and Health Administration (OSHA)? Or providing reasonable accommodation under the Americans with Disabilities Act (ADA)? 1. http://gao.gov/assets/670/669766.pdf Accessed June 2015. 2. www.dol.gov/whd/workers/misclassification/ Accessed June 2015. 4. www.dol.gov/whd/regs/compliance/whdfs13.htm Accessed June 2015. 5. Fact Sheet 71, www.dol.gov/whd/regs/compliance/whdfs71.htm Accessed June 2015. 6. www.dol.gov/elaws/esa/flsa/docs/volunteers.asp Accessed June 2015. 7. www.eeoc.gov/policy/docs/qanda-undoc.html Accessed June 2015. Christine V. Walters, JD, MAS, SHRM-SCP, SPHR, is an independent human resources, and employment law consultant for DBA FiveL Company out of Westminster, Maryland. She can be reached at info@FiveL.net. An overview of the copyright concept. The legal Impact column regularly considers the legal rights of one party as compared with another in connection with a certain situation or issue. Continuing with that theme, this installment explores “work made for hire” in copyright law and how this concept affects the rights of the individual who produces the work and the rights of other parties that may be involved under the circumstances. For purposes of examining work made for hire, let us consider a physical therapy practice that is seeking to launch a hand therapy program. In connection with the program, the practice asks one of its employees, a physical therapist, to illustrate an educational handout that describes certain anatomical structures in the hand. The physical therapist performs some of the work during her regularly scheduled workday and some on evenings and weekends. The practice also hires a website development firm to design a unique webpage for the hand therapy program. The design services are performed under a “work order” that terminates automatically once the work is completed. A number of months after the successful launch of the hand therapy program, the employee terminates her employment and takes a position at a competitive practice a few miles away. Under this scenario, how is ownership of the handout and the website determined? The answer to this question depends in part on whether each of these works was a work made for hire. With that very basic background on work made for hire, let us now examine the employed physical therapist and the web designer in the above scenario. 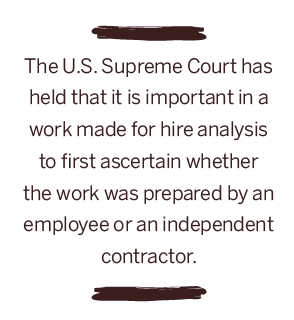 The U.S. Supreme Court has held that it is important in a work made for hire analysis to first ascertain whether the work was prepared by an employee or an independent contractor.4 In its analysis, the court noted that if an employee created the work, the work generally will be considered a work made for hire by definition. However, when considering work performed by an employee, it is important to note that the work must be created within the employee’s “scope of employment” to constitute work made for hire. In the above scenario, the practice’s claim for ownership of the handout may be hindered because the work was performed after hours at the employee’s home5 and the work was not of the type the employee was hired to perform6 (i.e., a physical therapist performing artistic work). 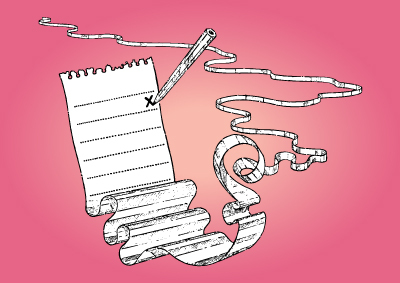 To improve its ownership claims in the employee’s work, the practice should consider whether a written employment agreement describing the treatment of such work is necessary. For example, the agreement could include an acknowledgement that any work that does not qualify as work made for hire is automatically assigned to the employer. Additionally, in the case of an employee the practice may be better served by assuring that the employee performs the work during typical working hours and that, if work is performed in the employee’s home, the work is nonetheless clearly delineated as that which is done for the benefit of the employer. A physical therapy practice spends significant amounts of financial resources to develop numerous works such as logos, websites, and educational materials to improve day-to-day operations and the value of the practice. It is important to take appropriate measures to assure that the practice secures ownership of such works and can benefit from the associated competitive advantages, such as preventing the use of such works by others or licensing such works to others in exchange for a fee. 1. 17 U.S.C.S. §101 (2015). 3. See Circular 09: Works Made for Hire, U.S. Copyright Office, available a http://copyright.gov/circs/circ09.pdf. Accessed April 19, 2015. 4. Community for Creative Non-Violence v. Reid, 490 U.S. 730 (1989). 5. See Avtec Systems, Inc. v. Peiffer, 67 F.3d 293 (1999). 6. Restatement (Second) of Agency §228. 7. See Circular 09: Works Made for Hire, U.S. Copyright Office, available at http://copyright.gov/circs/circ09.pdf. Accessed April 19, 2015. 8. 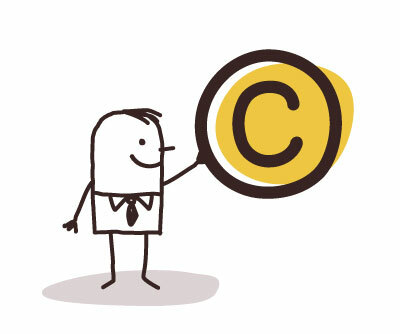 See Copyrights and Works Made for Hire, American Bar Association, available at www.americanbar.org/publications/tyl/topics/intellectual-property/copyrights_and_works_made_hire.html. Accessed April 19, 2015. Key provisions of the National Labor Relations Act and its impact on nonunion employers, both small and large. 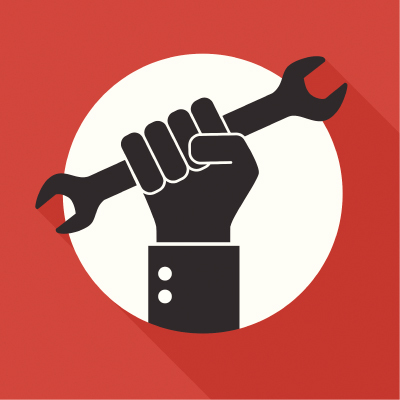 Like some nonunion employers, you may be either unfamiliar with the National Labor Relations Act (NLRA), the National Labor Relations Board (NLRB), or believe that neither impacts your nonunion workplace. That would be not only incorrect but also unwise. The NLRA provides nearly all nonsupervisory employees, union or nonunion, certain rights to act in concert (e.g., two or more employees having conversations or taking action with regard to wages, hours, or conditions of employment). These rights are commonly known as Section 7 rights. Section 8 of the NLRA also provides that employers, union or nonunion, may not interfere with employees’ exercise of their Section 7 rights. If you are waiting for the Section that describes employers’ rights, stop waiting—there isn’t one. Considerations for utilizing telehealth in physical therapy private practice. Four key issues exist for private practices should they wish to explore implementing telehealth services. The somewhat obvious conclusion drawn from the above information is that the majority of jurisdictions do not have specific laws or regulations governing telerehabilitation. Regardless of whether a jurisdiction has extensive regulation on telerehabilitation or none at all, providing telerehabilitation inconsistent with applicable statutes or regulations puts the licensed physical therapist at risk of regulatory action. For this reason, it is important for any practice that desires to start a telehealth program, to review applicable state laws and regulations, including applicable licensure laws, as well as any guidance available from the jurisdiction’s licensure board. In addition to understanding what qualifies as telehealth under state law and regulation, it is important to understand what may be permissible without falling within the regulatory realm of telehealth. For example, state law and regulation may expressly permit a non-face-to-face discussion between physical therapists regarding the care of one therapist’s patient. 2. HIPAA and Privacy Compliance. 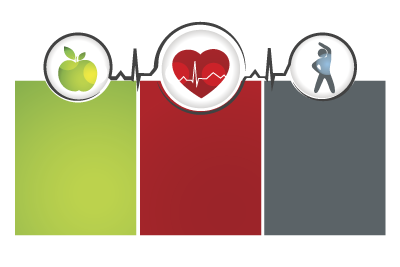 To provide telehealth services in compliance with applicable state and federal privacy standards, physical therapy practices will need to consider a number of issues related to technology, privacy and security.6 These considerations may include developing policies for the provision of telehealth services and engaging appropriate professionals to assure that the platform for providing such services complies with HIPAA and other legal requirements. Practices must also assure that there are secure communication channels through which to provide the telehealth services and that, where appropriate, confidentiality and/or business associate agreements are entered into with relevant service providers. Private practitioners need only to read the daily newspaper to see the risks associated with a breach of the privacy of patients’ and customers’ personal information. 4. Reimbursement. Governmental payers have differing views on the reimbursement of telehealth services. Medicare does not pay for telehealth provided by physical therapists.8 However, in the Medicaid context, 44 states reimburse for live videos and 10 states reimburse for remote patient monitoring provided by certain health care providers. Specific to telerehabilitation, the Arizona, Minnesota, and New Mexico Medicaid programs reimburse physical therapists for telehealth.9 When seeking reimbursement from private insurance companies for telehealth services, it is important to review the practice’s payer contracts to determine if telehealth services provided by physical therapists are a covered benefit. It is also important to determine the appropriate coding required by private insurers to ensure that there is a mutual agreement on the codes that may be used for services. Failure to confirm that reimbursement is available or to properly submit appropriate billing codes for telerehabilitation may result in costly audits and other related issues. In summary, telehealth provides both unique opportunities and unique challenges to private practice physical therapists. As physical therapy providers enter into this area of practice, they must be cognizant of the issues that need to be considered to maintain compliance. 2. See APTA 2014 House of Delegates Meeting Minutes available at www.apta.org/HOD. Accessed November 16, 2014. 3. www.apta.org/telehealth/legislationregulation Accessed November 3, 2014. 4. WAC 246-915-187 (Accessed November 3, 2014). 5. 12 Alaska Admin. Code 54.530 (Accessed November 3, 2014). 6. 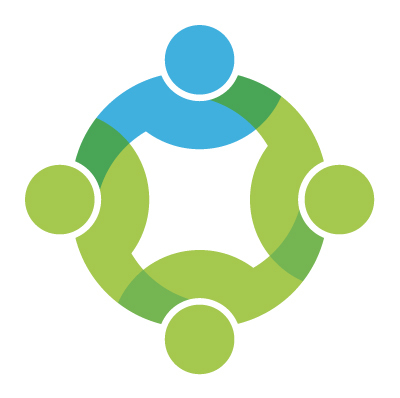 See www.hhs.gov/ocr/privacy/ Accessed November 20, 2014) for extensive resources related to HIPAA compliance. 7. www.filetransferglossary.com/cyber-liability Accessed November 15, 2014. 8. www.apta.org/telehealth/billingcoding. Accessed November 3, 2014. 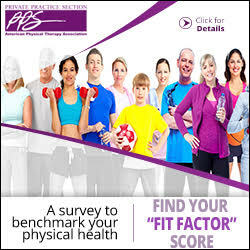 9. www.fsbpt.org/Portals/0/Content%20Manager/PDFs/Forum/Forum-Spring2014-The_integration_of_Telehealth.pdf Accessed November 16, 2014. Paul Welk, PT, JD, is a PPS member and an attorney with Tucker Arensberg, P.C., where he frequently advises physical therapy private practices in the areas of corporate and health care law. He can be reached at pwelk@tuckerlaw.com. Contract considerations for consulting/onsite services.